The Occupational Safety & Health Administration is evolving to protect workers’ rights, although the agency is largely understaffed and can be slow to react to pass rules to protect workers. The political climate in Washington is largely gridlocked, making it difficult for a lot of advancement in work-safety legislation, while ongoing efforts at austerity mean that OHSA is unlikely to get a lot more money to protect workers anytime soon. Still, this doesn’t mean that OSHA isn’t making changes and Safety News Alert has recently highlighted some top OSHA efforts in 2014. Workers cannot necessarily count on OSHA to provide a safe workplace. Instead, a workplace accident lawyer should be consulted by workers who fear an unsafe workplace or who have been hurt on the job. While an attorney can be the best advocate for an employee, keeping up-to-date on OSHA’s actions is useful to know what steps the agency is taking to protect the workforce. An increase in criminal prosecutions for OSHA violations. Criminal prosecutions for OSHA violations are extremely rare. However, there are more cases than there used to be and this trend may continue. OSHA is now referring all fatality cases and investigations in which three or more people are seriously injured to district attorneys offices. District attorneys may be better equipped than OSHA to actually move forward with forcing accountability when workers die on the job. Updated reporting requirements for injuries and illnesses. Existing regulations give employers eight hours employers to report work-related injuries resulting in the death of an employee or the inpatient hospitalization of at least three employees. A 2014 revision to the rules could require this reporting for all work-related inpatient hospitalizations, even if fewer than three workers were hurt. A new injury & illness prevention program requirement. David Michaels, the OSHA chief, has indicated that a prevention program is a number one priority. A notice of proposed rule making is expected to be released in September of 2014. Increased utilization of the General Duty Clause. The General Duty Clause (GDC) is used to fine companies when specific regulations are not available to address hazards. 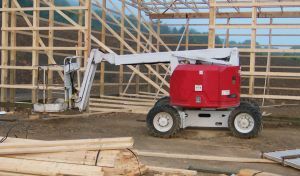 Recently, OSHA has used the GDC to fine employers after workers died on the job due to heat exposure. Now, the GDC may be used more frequently in new cases this upcoming year. David Michaels has indicated that he would not hesitate to use the GDC in distracted driving cases where employees die while using a cell phone; or in cases where employees are exposed to chemicals and toxins such as airborne concentrations of styrene that exceed recommended exposure limits. These are some of the trends to be on the lookout for this year. Hopefully, OSHA will be able to find creative ways to step up and protect workers despite the myriad challenges this agency faces. New Bedford Man Killed in Shellfish-Shucking Machine, February 4, 2014.